Global health has played a pivotal part of my journey towards medicine. It was through short-term medical mission trips to Honduras in college with Coffee 4 Kids Honduras that I first felt God’s call to pursue a career in medicine. There I felt heartbroken, convicted, and inspired as I worked on the pediatric floor of a public hospital and saw firsthand the profound need for medical care and resources in that medically underserved community. I continued to return to Honduras throughout my undergraduate education, and with each trip God used that time to grow and shape me in life-changing ways. By the end of college I was leading teams, organizing medical brigades, and praying for miraculous healings for the patients we encountered. God had transformed me from an uncertain sociology major to a passionate pre-medical student. When I was given the opportunity to travel to Macha, Zambia in the summer after my first year of medical school through a Global Health Scholars program, it felt like the perfect way to continue to integrate global health with my medical education and spiritual journey. My first trip to Macha was incredibly formative, as it not only gave me hands-on work and research experience in an international context, but it also allowed me to witness firsthand physicians who were living, working, invested, and deeply embedded in the community. I saw a tangible example of what my career could look like if I became a missionary doctor, and it filled my heart with excitement and anticipation. After a difficult first year of medical school that left me feeling alone and unwanted, my times in Macha in 2015 were empowering and refreshing. I think God used that time to heal me, grow me, and equip me for the years to come. After that trip, I felt renewed inspiration for my medical studies and a reaffirmed call to be a physician. I did not do any clinical work during that time, but rather focused on community engagement and HIV research. 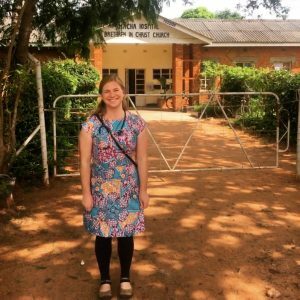 The idea of returning to Macha at the end of my medical school education in order to do clinical work in the hospital seemed almost too good to be true, and I am incredibly grateful to Mennonite Healthcare Fellowship (MHF) for the Student Elective Term (SET) grant that allowed the trip to be possible for me! 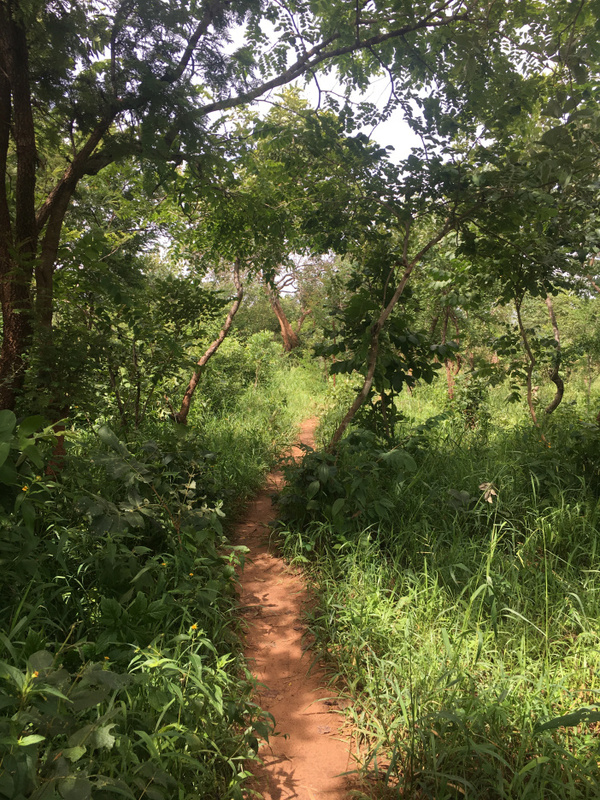 My previous visit had been during the dry season, but January/February is rainy season for Zambia, and the resulting lush foliage took my breath away. Macha was even more beautiful and vibrant than I had remembered. I couldn’t wait to reconnect with the places and people that had been so dear to me in years past—the local church with heavenly worship, the nearby market with seasonal veggies, and my coworkers the HIV lab. I was especially excited to reconnect with Mutinta, a dear friend who had been pregnant during my last visit, and finally meet her daughter Chileleko in person! The days in the hospital were full, heavy, and at the same time uplifting. In the mornings I would round in the pediatric ward with Dr. Mpanga and we would decide what the next steps in care would be for the sick children. At this point in my medical education, I can say that I feel comfortable thinking of diagnoses and treatment options for most of the cases I have seen in the United States; but many of the children admitted had ailments I had never seen in-person before—conditions like malaria, pediatric HIV, extra-pulmonary TB, extreme malnutrition, and rheumatic heart disease. The first week, Dr. Mpanga took time to explain each condition as we went along, as well as how they were treated with the limited medications available. By the second week I was becoming more familiar with how things ran in the hospital, and he encouraged me to develop the diagnosis and treatment plans on my own. By my last week, I felt confident rounding on most of the patients alone! Of course, I would always double-check and run my notes by Dr. Mpanga before the morning was over, but it felt empowering to have some autonomy. I was starting to feel like a real doctor! In the afternoons, I would usually go to clinic and see walk-in patients. I was given a desk (or rather, a portion of one—space was limited! ), and a chair. With the help of some very busy translators, patients would be funneled in one-by-one to see me or another provider. The language barrier made things difficult, but as time went on I slowly filled up a note-cared with helpful Tonga phrases. Things like “where does it hurt?”, the various body parts, and some common symptoms allowed me to get a chunk of the patient history on my own–as long as the patients answered back in very simple sentences! Here, too, I slowly grew in confidence and independence, relying on the doctors in the room less and less. During the month that I was there, I got to know some of the children on the ward very well. I was excited to see many of them get better and go home—and each morning I looked forward to checking up on how they were improving as well as any additional test results that would come in to help hone down the tricky diagnoses. It was also hard to see children suffering from conditions that had solutions available in the U.S. but not in Zambia. I saw several children with heart failure from rheumatic heart disease—a result of untreated strep throat. In Zambia, there is no heart surgery available and these children will likely die in a few months. Dr. Mpanga asked me what we would do for them if they were in the U.S., and I replied that in addition to getting a heart transplant or valve repair, the reality is we rarely see children with this disease as they are treated before the infection could progress to their heart in the first place. I felt helpless as I managed their symptoms knowing that I was just buying them a small amount time, and heartbroken when an 11-year-old boy I had been treating for several weeks died suddenly. It feels deeply unfair that life-saving resources and medications can be available to some children in this world but not others. I believe that this is a situation that breaks God’s heart too, and I am comforted by the well-known and simple passage from the Bible: “Jesus wept.” Jesus, too, is hurt by the sickness, death, and injustice that plague our world. Jesus, too, weeps with us and encourages us to engage in the sadness and heartbreak that results. Jesus also calls us to action. He calls us to represent Him, to follow Him, and to be His agents of justice, peace, and love in the world. On May 20, I will graduate from medical school and I will finally be a doctor. It has been a long road, and I know that the journey is far from over. 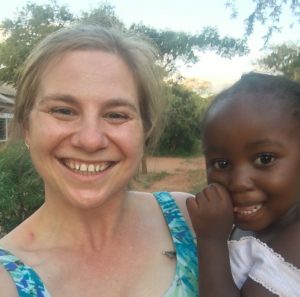 I am grateful to have had the opportunity to return to Zambia and learn from missionary and local doctors. It gave me a glimpse of what my life could be like as a physician, and I grew in confidence and ability during my month-long rotation. By the end, I gained knowledge, autonomy, and confidence in my abilities as an almost-doctor. In addition to skills and professional growth, this month renewed in me a passion for serving the underserved and reminded me of God’s call for us to care for the poor, advocate for the oppressed, and heal the sick. I hope that compassion, justice, skill, and faith will mark my practice. I anxiously await this next chapter of my life, and I am filled with anticipation and excitement for the places God will take me in my career as a doctor! 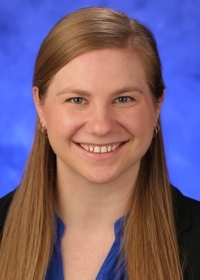 Leah Sitler is a medical student at Penn State University College of Medicine. She graduated from University of California, Los Angeles in 2012 and received an MS in Global Medicine from University of Southern California (USC) Keck School of Medicine in 2013. She did her Student Elective Term at Macha Mission Hospital in Zambia in February 2018.